I finally got to the theater again to see a first-run movie – First Man, and unabashedly admit to having thoroughly enjoyed it. In fact, I loved it, and intend to see it again. Unfortunately, if social media is any indication, at least one of the stars (Claire Foy) does not share my affection for this land of the free; home of the brave that spawned the courageous men and women profiled in the story. However, that attitude was not evident in her performance. Additionally, there was some controversy over omission of the flag planting. I don’t know if there was conscious intention to deflect credit for this amazing accomplishment from the United States, in an effort to promote globalism. I hope not, and I am especially glad I resisted my first impulse (based on that controversy) to boycott the film. I would have only cheated myself out of a great movie. But, as the old writer cliche goes, “I digress.” This is neither a film review, nor an essay on Hollywood Meets Politics (and why we wish it wouldn’t). I can’t help wondering if perhaps Charles Dickens’ inspiration for “A Christmas Carol” was not just looking back over his life. Was there just that moment when he wished that all he had lived through was but a dress rehearsal for the real thing? Was there not the slightest hope that it was all just a dream from which he learned what he needed to know. He then awoke, and instead of it being Christmas Day, it was actually the first day of the rest of his life. My first real understanding of this Dickens’ tale was the animated Mr. Magoo version. I could never forget his relief and utter jubilation upon realizing the horrors he had seen were but a dream. 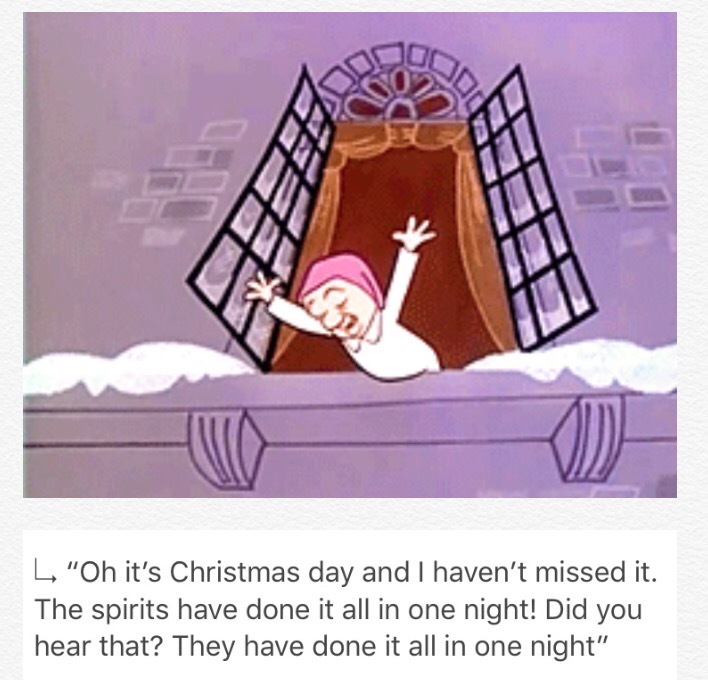 The spirits had done it all in one night, and he had not missed Christmas Day. He was given a second chance to make everything right. If only life could be like Ebenezer’s bad dream, from which we could simply wake and begin anew. Celebrate the security of the safe, healthy society they create and maintain. For the post-baby boomer generations who were taught the U.S. barbarically, mercilessly bombed Japan in 1945, it’s not your fault. No one ever told you the Japanese were not always the cool, car-building, techno-genius, anime-creating society you know them to be. So, please look up December 7, 1941. The “date which will live in infamy” was essentially “9-1-1” before September 9, 2001. Yesterday, I saw something I had not seen in years – a barbed wire fence. It evoked memories of a brief, yet, impactful time of my childhood. We lived, for a time, with my grandmother who lived in a rock house in the country, and had farming neighbors. This next weekend is usually designated as what I used to affectionately call “in-law Christmas,” when you gather with the non-alpha in-laws to celebrate the holiday (as opposed to the real festivities with your actual family). This weekend is usually designated as what I used to affectionately call “in-law Thanksgiving,” when you gather with the non-alpha in-laws to celebrate the holiday (as opposed to the real feast with your actual family). I just read the GQ article “The Untold Stories of Paul McCartney.” https://www.gq.com/story/the-untold-stories-of-paul-mccartney Writer Chris Heath’s interviews with Paul revealed many things even this lifelong fan never knew about the former Beatles/Wings/singer/songwriter/icon for a generation. I was pleased and relieved to realize the energy, intellect, excitement, and mental clarity we perceive in Sir Paul is, apparently, an accurate impression. The 76-year-old is definitely still all there. Heath unearthed far more than the sweet story behind “Let it Be” of how Paul’s mother Mary came to him in a dream – oh, so much more… I found, especially interesting, the insight to the Wings’ song “Jet.” While the title was for a pony they had named Jet, Paul seemed to suggest that early in his marriage to Linda, his father-in-law was a “kind of a nuisance,” and might have been the “Major” in that 1973 song. There’s a Rolling Stones‘ song “Time is on My Side.” When I was very young, I believed that. As a matter of fact, I embraced this fallacy until about four years ago. Truth is, time is never on your side. It is always the enemy.